Do you enjoy making gifts for friends and family? 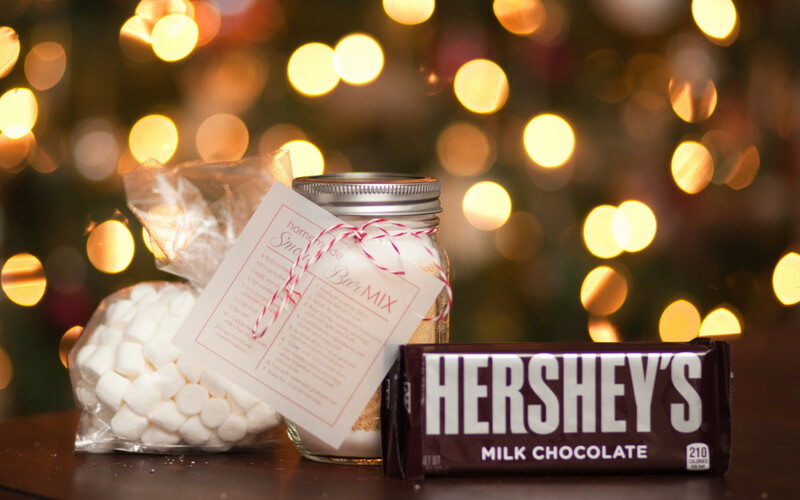 Are you looking for a last minute DIY gift that won’t take hours in the kitchen? I was inspired by a recent trip to Walt Disney World where I saw the cutest gingerbread cookie kit. It included a gingerbread mix (only an additional egg and some butter were required) and a Mickey Gingerbread cookie cutter. While I love the idea, I the ability to create the necessary dried molasses that a mass producer can make. But it gave me the idea of creating a cookie mix for our family and friends. A cookie mix is the perfect gift that is somewhere between baked cookies (which could get stale) and refrigerated cookie dough (which requires refrigeration and may be forgotten if you are exchanging gifts at a different house). Creating a mix saves time in the kitchen as you can create quite a few gifts in a short time rather than having to mix cookie dough, which can be very time consuming and involve washing a bowl multiple times. This also worked well for me since my mixer is on the fritz and mass cookie production is an arduous process by hand. The problem with homemade cookie mixes is that many cookie recipes require creaming butter with sugar and then adding the egg and beating until the entire mixture is light and fluffy. These steps are necessary to give the cookies the right consistency, but they make pre-made cookie mixes difficult to create at home. But then it came to me: I could make pre-mixed S’mores Bars kits. 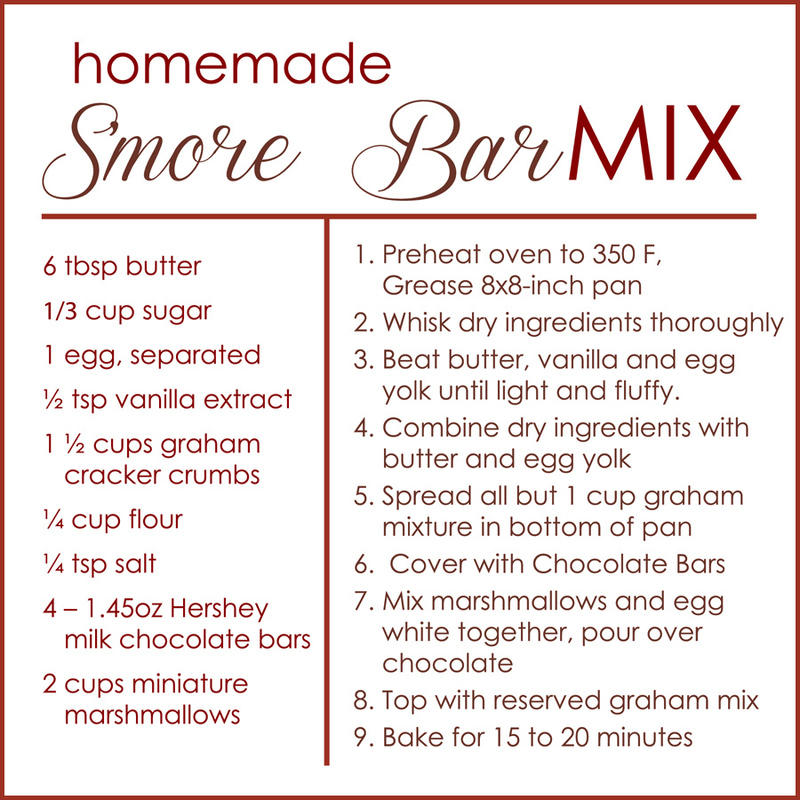 We have an absolutely amazing recipe for S’mores Bars that could be modified for a pre-made kit. Of course, Matt and I had to TRY the recipe before giving these out, and it was a success. So if you are looking for a homemade gift that will take less than an hour and that everyone will LOVE, look no further. 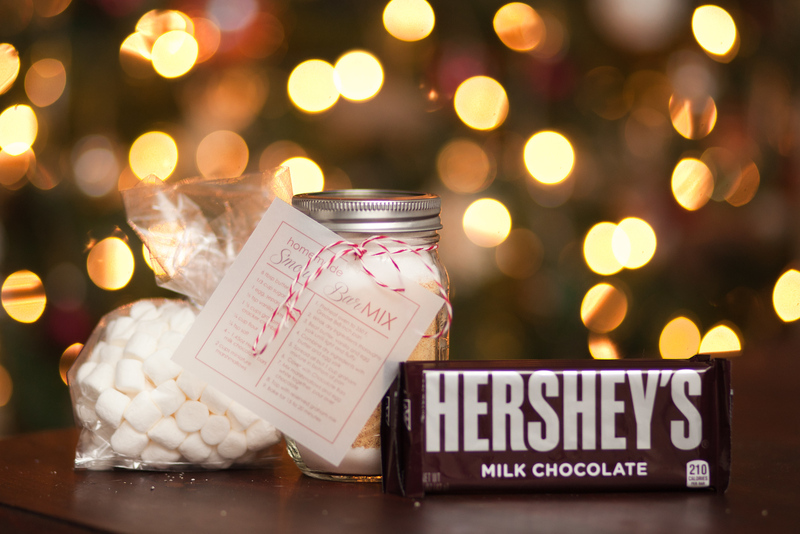 This recipe was adapted from a Hershey’s Kids cookbook. 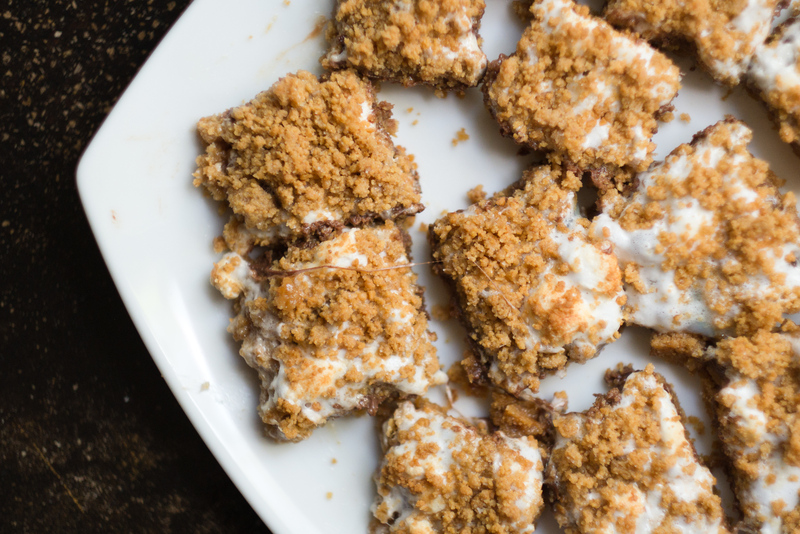 I no longer know where the cookbook went, but we have been making these S’mores Bars for years. I modified the recipe to make a half batch and changed some of the ingredients. Step one is to fill the mason jar with the dry ingredients. We chose to layer the ingredients, which gives the jars a nice look. The pint mason jars will be filled to the very brim, so you can opt to use the quart mason jars and include the marshmallows inside. 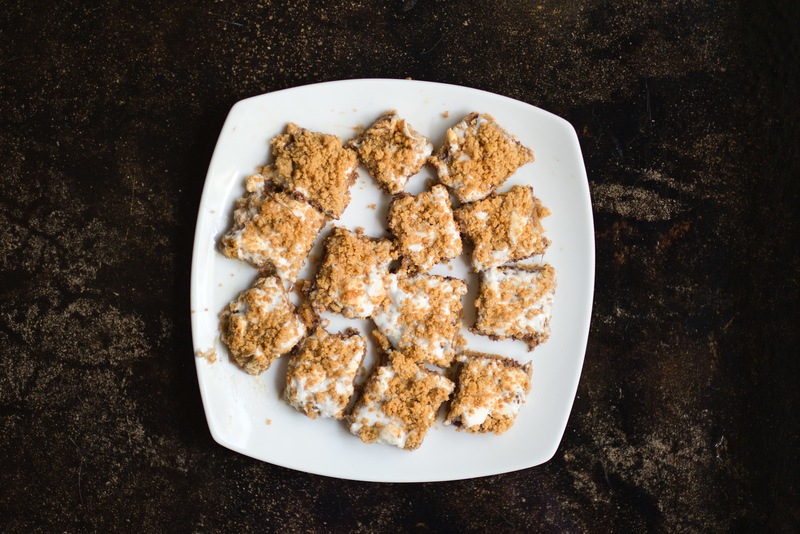 Start by layering ¼-cup flour, ¼ tsp salt, 1½ cups graham cracker crumbs, and 1/3 cup sugar. Cover the mason jar with the lid. The next step is to fill the favor bag with 2 cups of marshmallows. Tie with the included twist ties or colored twine. Next, print the instructions, cut them out, and attach them to the jar with colored twine. You can type the recipe out yourself, or download the JPEG of pre-printed directions below. We chose to space them evenly on an 8 ½ x 11 sheet of vellum before cutting them out. Finally, include four 1.45-oz Hershey bars with each kit. You can put them together in gift bags, a gift basket, or even a clear baking bag, tied with a bow. Your friends and family will be very grateful!